A few years ago a pedestrian tunnel was added beneath the fourth turn. Outside of the fourth turn is a large, paved area for the sports' many displays and souvenir rigs. "Martinsville Speedway is constantly growing and we expect to continue that trend for many years to come," said Campbell, who remained as the track's president after the facility was purchased by International Speedway Corporation in 2004. "We review our facility and the operation of it after each race and look for ways to improve. Martinsville Speedway has been a showplace for NASCAR Sprint Cup racing for more than half a century and we plan to continue that for generations of race fans in the future. 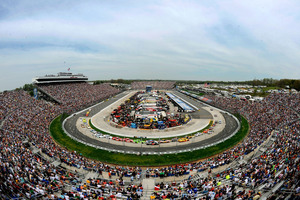 Visit www.martinsvillespeedway.com to learn more.